ADTRAN is a leading global provider of networking and communications equipment that enables the delivery of voice, data, video, and internet services for businesses and service providers. Axacore, now, Scrypt, Inc., has an unwavering focus on transforming document management and delivery within regulated industries. 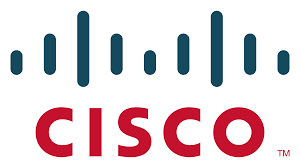 Cisco is one of the leading manufacturers of network equipment. They make it possible for GTB to provide internetworking products, such as routers, bridges, and switches. MetaSwitch is a leader in developing award-winning softswitch solutions, which enable service providers to deliver a wide range of VoIP, legacy TDM and next generation telephony services. Mitel provides cloud-based phone systems. These products allow GTB to provide HD quality voice solutions for thousands of businesses in Maryland and beyond. Panasonic has grown to become one of the largest Japanese electronics producers. It allows GTB to provide its customers with a cordless phone experience. Polycom, also founded just over two decades ago, shares its well known hands free phone product with GTB, so we can offer business class voice solutions for business teams. Remote Backup Systems develops protection software and services, so that GTB is able to back up your company’s data created by remote offices and store it securely. GTB has partnered with Sonexis to offer audio and web conferencing solutions for more effective web meetings. Their sate-of-the-art integrated web, audio and internet video conferencing makes online meetings and webinars easier and more productive. With Telax, GTB is able to provide the capabilities to create exceptional customer care and service desk operation through the platform, Telax Hosted Call Center. By leveraging cloud computing, we are able to deliver an advanced contact center solution with more functionality and greater ease of use than traditional solutions.